Flat pack furniture makes shipping and moving a lot easier, but it doesn’t leave much room for comfortable cushions. A French furniture brand called Mojow came up with a clever workaround that somehow manages to not look like it belongs in a college dorm or a child’s bedroom: inflatables. 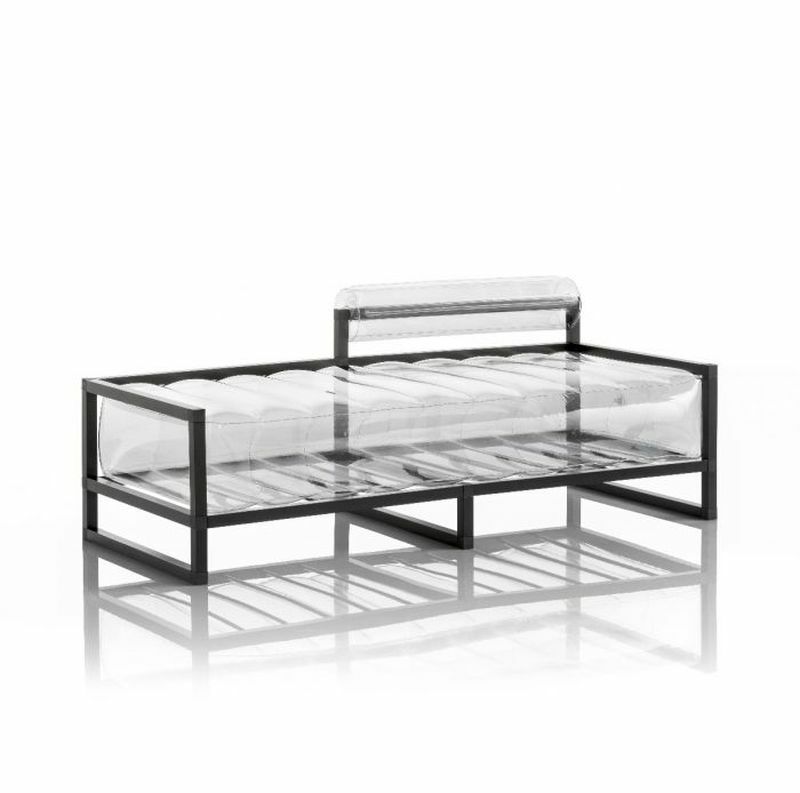 The simple, streamlined frames for its chairs and couches pair with the air-filled cushions in a pleasingly modern way. 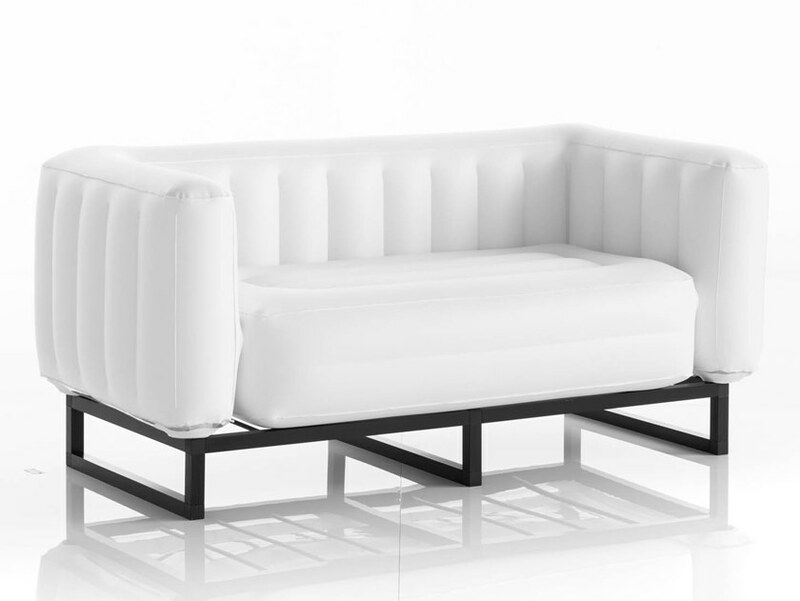 Available on Archiproducts, Mojow’s offerings include armchairs, sofas, daybeds and indoor benches. 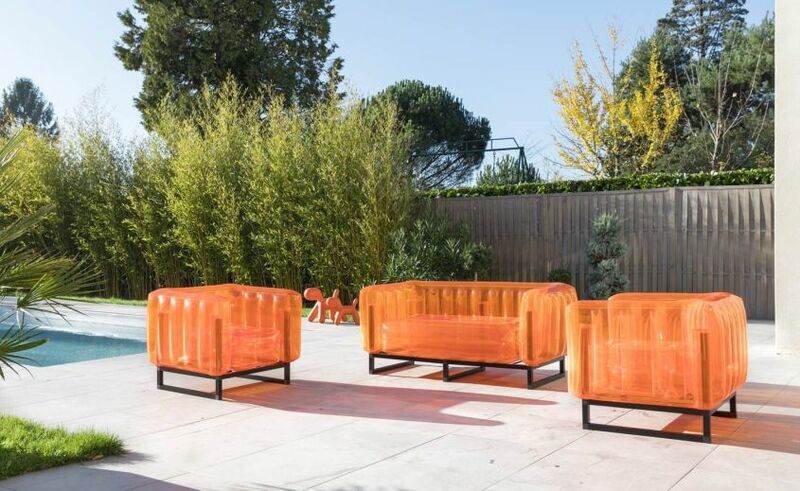 Each offers a choice of either an oak or black metal frame and opaque or transparent inflatable cushions in green, black, orange, clear and pink color ways. 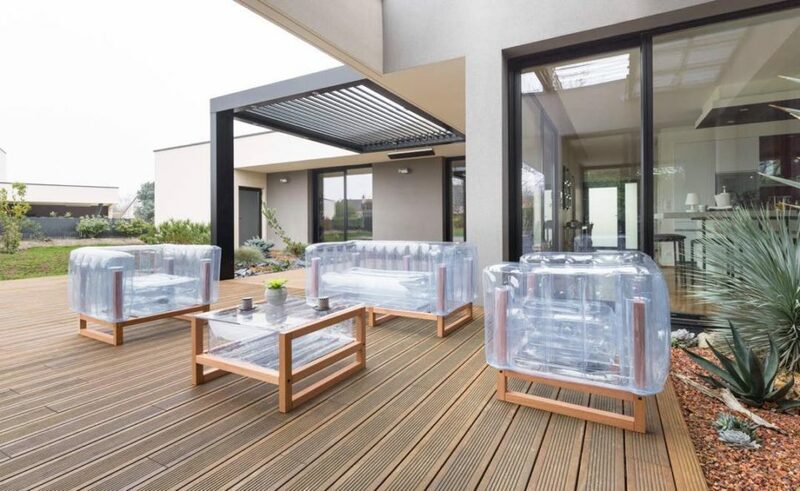 They’re easy and nearly instant to set up and disassemble with an electric inflater, and Mojow says they’re easy to clean, durable and UV-protected so they won’t degrade in the sunlight like you might expect. 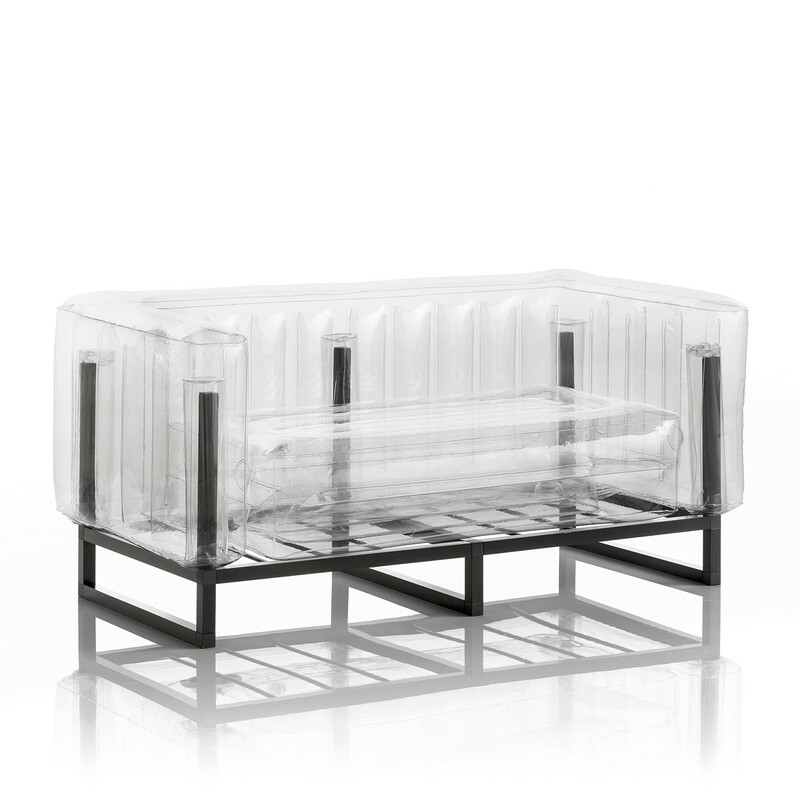 But perhaps the coolest part of this modern blow-up furniture series is the ability to fill one of the models with any solid objects you like (within reason) before inflating the cushions all the way. Rubber ducks? Sports memorabilia? Crystals? Shredded paper? A week’s worth of your own solid waste materials? 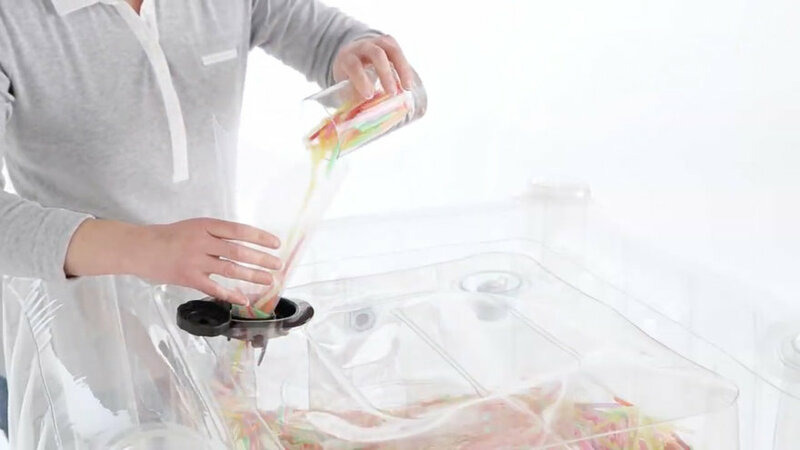 Go wild with it, a long as the objects can fit through the opening and won’t puncture the plastic.